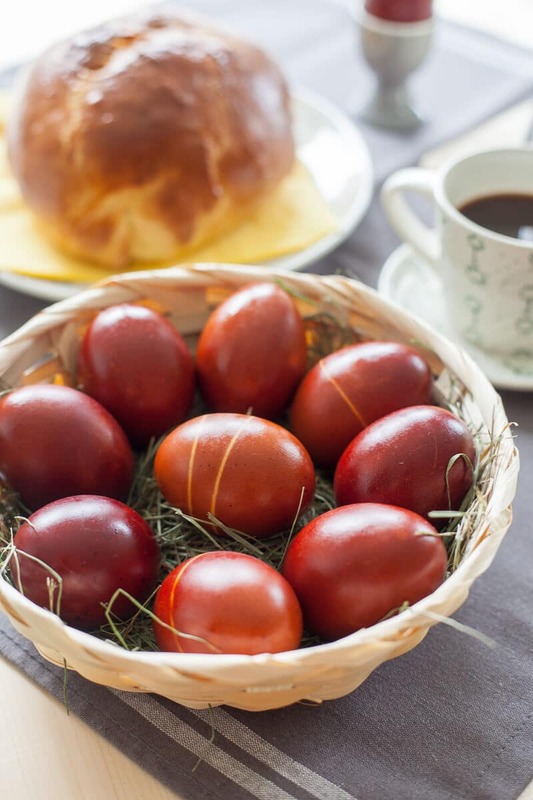 Happy Easter everybody! It's tradition to color eggs for Easter and I, for one, prefer to use natural colorings. And the most traditional must be red onion skins. 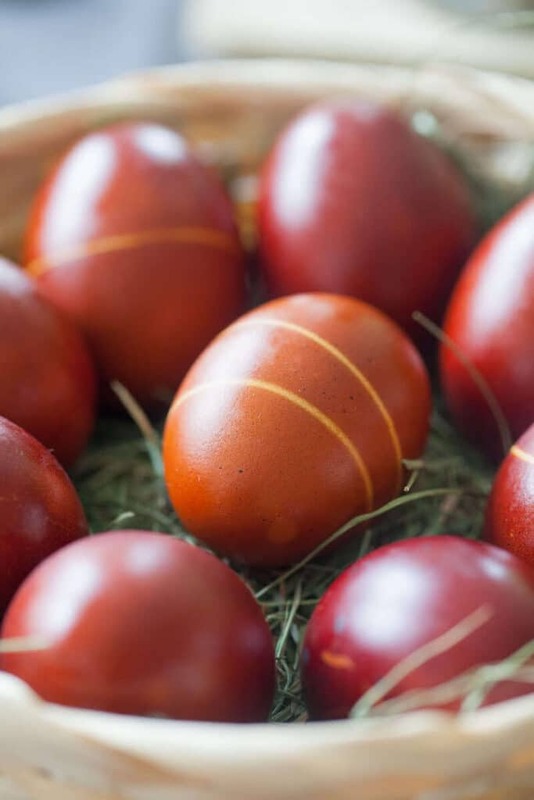 Coloring eggs naturally is really simple and you can get all kinds of beautiful colors by using onion skins, blueberries, heavy red wine or spices. I only colored about 10 eggs, so I used just about a big handful of onion skins, mostly red onion. First, I hard-boiled eggs for about 10 minutes. At the same time, I put a pot of water to boil and added onion skins. I let that boil for about 10 minutes as well, so the onion skins let out the color. Then, I removed it from the heat and also removed the skins out of the colored water. Then, I took the boiled eggs and placed them in the onion skin pot. I let them rest for a good 10-15 minutes in the colored water, but you can leave them in there even longer. 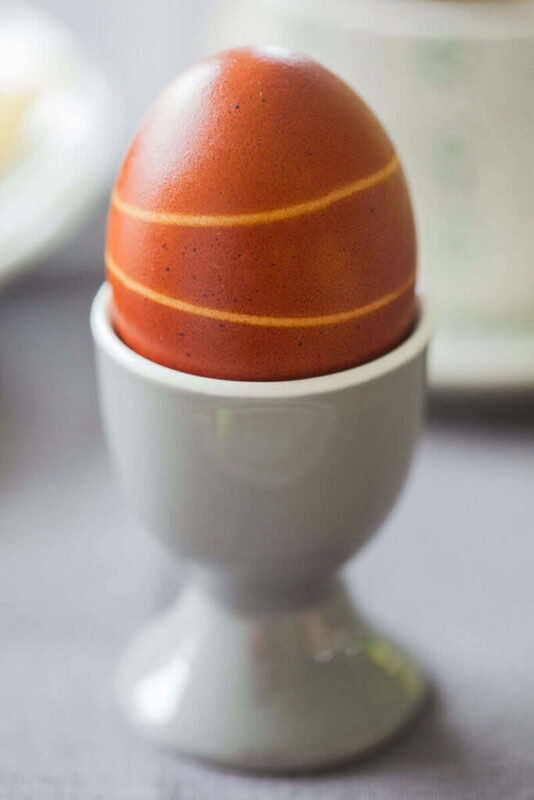 I also placed a few kitchen elastics around some of the eggs to achieve the pale line contrast. Then, I removed the eggs out of the colored water, placed them on a paper-towel lined plate to dry, removed the elastics and coated each egg with a drop of oil lightly, for the color to shine. 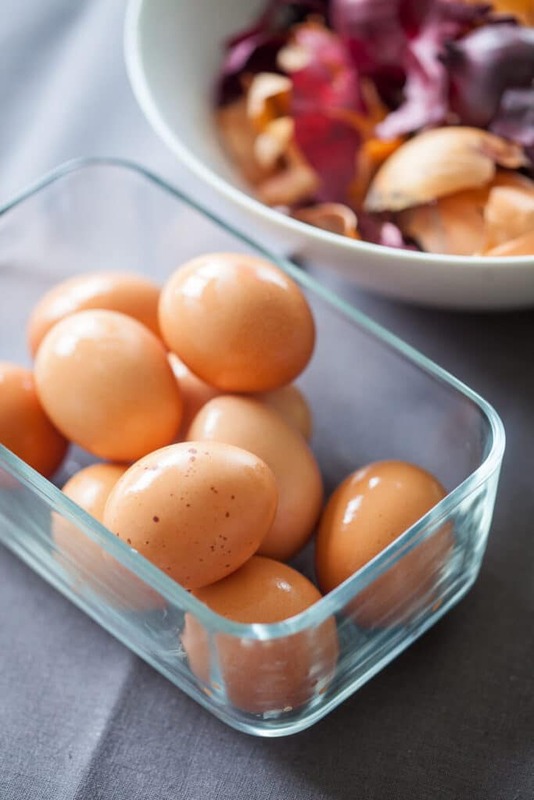 There are plenty of tricks out there on how to correctly boil and color your eggs. Have you ever colored your Easter Eggs? What kind of coloring do you usually do?